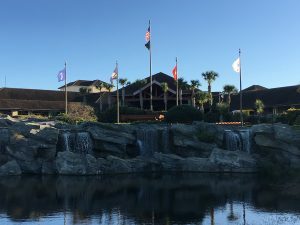 Recently my wife and I stayed at Shades of Green, an Armed Forces resort located in Disney World. Purchased by the Army, Shades of Green is designated for military personnel, retirees and veterans and their families. Although located within Disney Park, the deluxe resort sits in the middle of Disney’s Magnolia golf course. Because of its location, it has the feel of a rustic charm of a quiet country inn. I found healing at Shades of Green. While in the Marines, I walked “point in Vietnam for 11 months. Although I never received physical injury, the physiological trauma of war and stress of walking point extracted a toll. The demeaning hostile reception we received by hateful protestors, as we departed the USS Kennedy in San Diego, the ship that brought us back from Vietnam, crushed our dignity. The honor and respect at Shades of Green my wife and I experienced, made us feel welcomed, appreciated and at home. 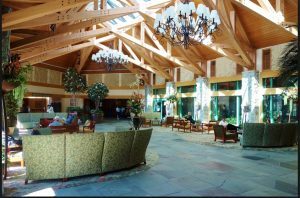 Although the military breeds discipline, strategic focus with a mission, the atmosphere at this resort was that of a caring family. The time we spent at the Disney parks was a time of fun and relaxation. 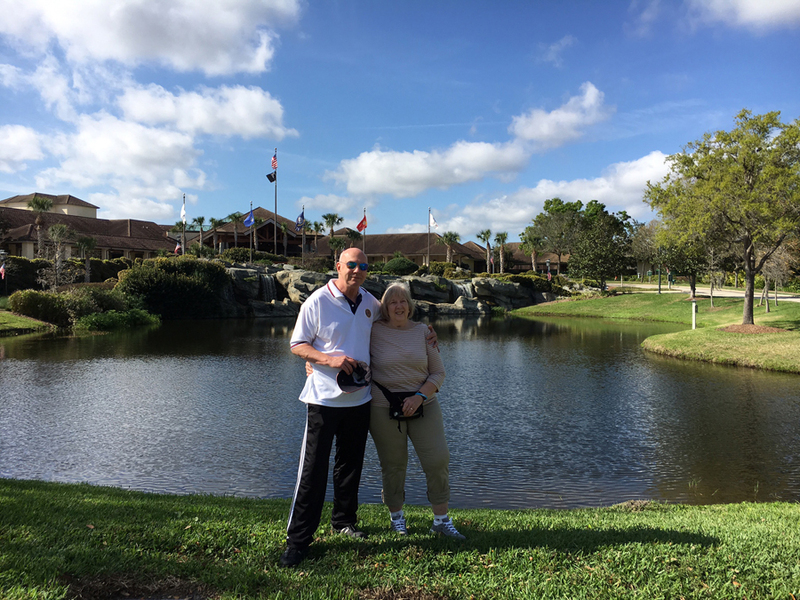 After walking all day, we enjoyed our evenings dining at one of three Shades of Green on-site restaurants and soaking our tired legs in the hot tub by the heated pool. God brings healing in various ways. Two years ago I joined the American Legion. During the Veterans Day parade; as we marched the people lined on the streets shouted, “Thank you for your service.” Standing up straighter marching to the beat of the band, my eyes swimming in tears, the pride I once knew serving my country, began to rise up from my heart. Dignity is being restored. As I entered the office for my physical exam, I was met by a frantic doctor who screamed, “If you think I believe in healing, you are mistaken!” You Vets are all the same – you want something for nothing.” I was emotionally rocked by this greeting. He sent me on my ay. Feeling resentful, I turned my back on the VA from that day forward. That is until recently. My friends at the American Legion encouraged me to go to the VA for a hearing test, as they provide hearing aids. Because I was in areas of Vietnam where there was exposure to Agent Orange, the VA scheduled me for a battery of test. I was really blessed by the honor and respect displayed by those with a sincere desire to help veterans, especially those that served in foreign wars. I could not believe the interest, the compassion, and love displayed by every VA personal I met. This too began a process of healing – that of restored trust in my Government. The right people can make all the difference. To fast forward, at the Shades of Green Military Resort, once again I found the journey leading to wholeness. The beauty is, God is in all of this, not only to provide a place for healing but also to cover all the expenses. The Church is both the beloved bride of Christ and the Army of God. When we received Jesus, we were drafted into His army. As a soldier of the Cross-I have fought many battles. The attacks, accusations, the rejection, and opposition by the brethren, often create needless damage. Because of this, strife and discord have separated many from the ability to form healthy life-giving relationships. Thus, many have become casualties of war. Needless to say, the Army of God – His bride, needs healing and restoration. God is a relational God. His heart grieves for the condition and wellbeing of His family. Because so many are consumed with themselves with so little caring, rather than adding strength to God’s army, they weaken it. Thus, in times of battle, many become more of a liability than an asset. This will now change. There is a relentless move of the Spirit to prune and purge His people. Many Christians want the blessings, the party time and nurturing life of the Spirit (which we all need and should desire) but quickly run when discipline, correction, and order are required. This serves to promote emotional immaturity – a hindrance to true spiritual growth. God is a nurturing Father, but He is also a militant God. As the scripture tells us, we must know both ”Behold the kindness of God AND severity of God (Ro. 11:22). An army of unprecedented discipline is now emerging. To be a disciple of Christ is to be a disciplined soldier. As one big family, this army consists of male and female, old and young of every race. I once entered into a trance where I became part of this living army. The Lord was in our midst as the Lord of Host. As I joined them in the march, a heavenly new song broke out as we marched to the cadence of the heartbeat of heaven. In the midst of diversity, the harmony of this Army is unprecedented. God has a mission, and like the military, He is organizing His people to function in His body as each one is gifted and called. A people united by love through the unity of the Spirit. Being free from the need to be consumed with themselves or for recognition, they will march in perfect step. Because they are so sure of who they are and what they are doing, their identity is established with joy. This is the Joel 2 army that God is forming and He will lead it as the Lord of Host. This is not the time to step down, but to step up. If you would like more information about this emerging army and your part, Rick Joyner has written an insightful book called “Army of the Dawn” – preparing for the greatest event of all times. He also wrote a sequel to “Army of the Dawn” part 2 – a new breed. Both are available on Amazon. It is the passion of Christ to heal the wounded and restore the fallen. There are many ways healing can come. Love is a major key – a love for God and a love for one another. As God builds His family, the army of God- the love, esteem, and honor with respect given to one another, will bring much-needed healing and restoration. God is attracted to honor and those who honor Him and His people cultivate a Kingdom atmosphere that sustains His presence. Rather than live in remorse for past mistakes, God honors those with the resolve to rise up and go forward (Proverbs 24:16). Placing our trust in the Lord of Glory – Jesus Christ, He will always lead us to victory. Today is the day of our salvation. Today is the day for our healing. As the apostle, John said, “Beloved, I wish above all things that you may prosper and be in health, even as your soul prospers” (3 John 2). “You shall be called, “the repairer of the breach, the restorers of paths to dwell in” (Is. 58:12).